While the runways are a strong indication of the popular trends coming down the pike, when it comes to knowing exactly what styles are going to sell like hotcakes, buyers are the inside source. After all, these are the people determining which products go from runway to retail. In the case of jackets for fall—a category we’re all inevitably shopping for as the seasons change—we asked three insiders to weigh in on which trends will be the biggest. Tapping the expertise of buyers from Matches Fashion, Farfetch, and W Concept, we determined which jacket trends will rule fall 2018. And though each of the buyers identified their own top three themes that shoppers will love, in total there were six trends that came out on top. Below, take a look at the expert predictions as well as the buyers' personal picks, then shop for all the biggest fall jacket trends in a variety of styles and prices. “Living in the northern hemisphere means that by the time fall hits, your wardrobe suddenly becomes dependent on having multiple jacket options. The shock of the dip in temperature means you’re often spending the entire day keeping your layers on. “Shearling has proven to be more of a staple than a trend—from aviator jackets to maxi coats, all with staying power. The runway this F/W 18 taught us that the shearlings to invest in have that little something extra. “Animal print is definitively the trend of the F/W 18 season, you will have no trouble finding the animal print of your dreams. Tiger print is a more elevated approach to this trend. “This season, fashion’s response to the current political climate works to dissolve gender lines while simultaneously highlighting what it means to be a woman today. 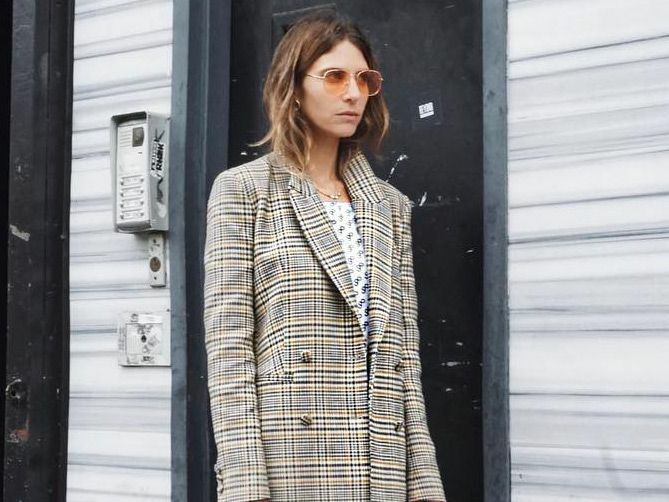 We’re seeing less figure-fitted silhouettes, broad ’80s shoulder lines and structured pieces, and heavy use of texture, all directed toward a more empowering lifestyle. Next, take a look at the five top dress trends currently selling the best on Instagram.